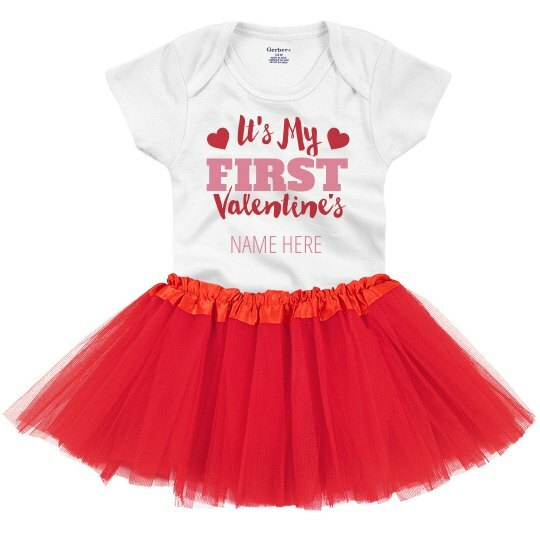 Celebrate baby's first Valentine's Day with a cute, custom tutu onesie! Personalize the body of this adorable set by adding in your own text. Make sure everybody knows that its your baby girl's very first v-day!